EDITOR: "All patients experienced improvements in their vision while taking the saffron pill." The golden herb saffron may hold the key to preventing the loss of sight in the elderly, a world first trial by researchers at the University of Sydney and in Italy has found. Age-related macular degeneration (AMD) is a leading cause of irreversible blindness in the world. Although the etiology and pathogenesis of AMD remain largely unclear, a complex interaction of genetic and environmental factors is thought to exist. AMD pathology is characterized by degeneration involving the retinal photoreceptors, retinal pigment epithelium, and Bruch’s membrane, as well as, in some cases, alterations in choroidal capillaries. Background and Purpose—Although open-angle glaucoma (OAG) is associated with some of the risk factors of stroke development, there is still no published study addressing whether Open-Angle Glaucoma increases the risk of stroke development. We investigated the risk of stroke development after a diagnosis of Open-Angle Glaucoma and our results are reported in this article. Ischemic optic neuropathy is one of the major causes of blindness or seriously impaired vision, yet there is disagreement as to its pathogenesis, clinical features and especially its management. This is because ischemic optic neuropathy is not one disease but a spectrum of several different types, each with its own etiology, pathogenesis, clinical features and management. They cannot be lumped together. Ischemic optic neuropathy is primarily of two types: anterior (AION) and posterior (PION), involving the optic nerve head (ONH) and the rest of the optic nerve respectively. We list three studies below that show swim googles can elevate eye pressure. Thanks to FitEyes member "togburn" we have a product recommendation for swimmers. 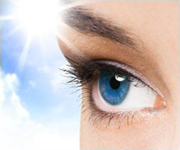 The recommendation comes by way of optometrist Michelle Solomon in Richmond, VA, USA. Dr. Solomon is recommending swim goggles like the Aqua Sphere Seal Swim Mask by Aqua Sphere. Does reading a computer monitor and feeling eye strain raise your eye pressure? Question: Does reading a computer monitor for an hour and feeling eye strain raise your IOP? My Answer: The question of computer use and intraocular pressure is a common topic. Many people report that using the computer (even for several hours) for relaxing activities does not raise intraocular pressure. I have found this to be true for myself as well. However, when a feeling of eye strain or psychological stress is involved, it is a different issue in my opinion. Read more about Does reading a computer monitor and feeling eye strain raise your eye pressure? New Research a Step Toward Vindicating Dr. Bates's Natural Vision Improvement Theories? Humans make thousands of unconscious flickering eye movements to stop them from going blind, a study has shown. Read more about New Research a Step Toward Vindicating Dr. Bates's Natural Vision Improvement Theories?